There isn't much I can always count on everyone eating. Most things in our house seem to be popular for a few days and then they are out. Or one kid will eat it but the other won't. Hummus is one of the few foods that everyone in my house will eat almost always. With as much hummus as we eat you would have thought we would have made it before, but it never occurred to me to try our own hummus. Then I came across a recipe that looked both easy and delicious, those are the kind of recipes I like, so we gave it a shot. 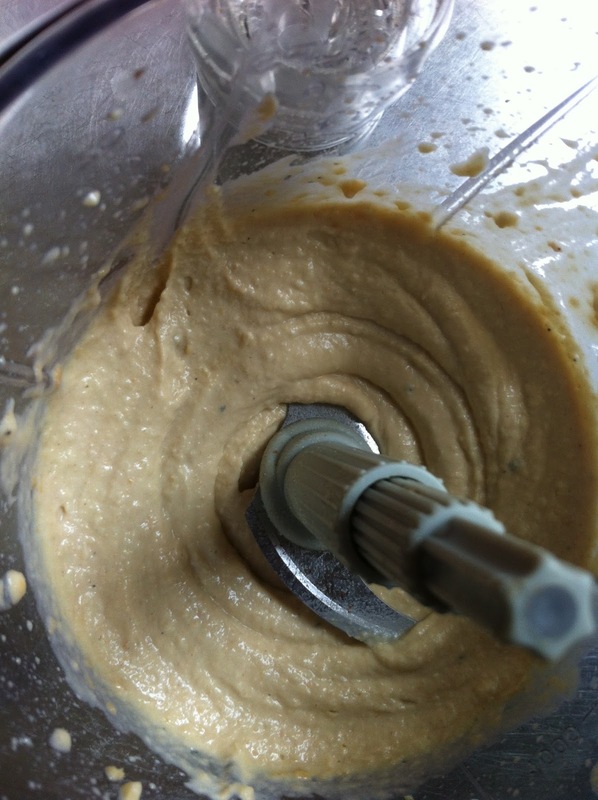 I was happy to find that the hummus was both very easy to make and very delicious. The recipe we used was Ina Garten's recipe but there were lots of hummus recipes and lots of them were very similar. The recipe was pretty simple the only ingredient in the recipe that we didn't already have at home was Tahini, a ground sesame paste, that we found in the grocery store with the other nut butters. 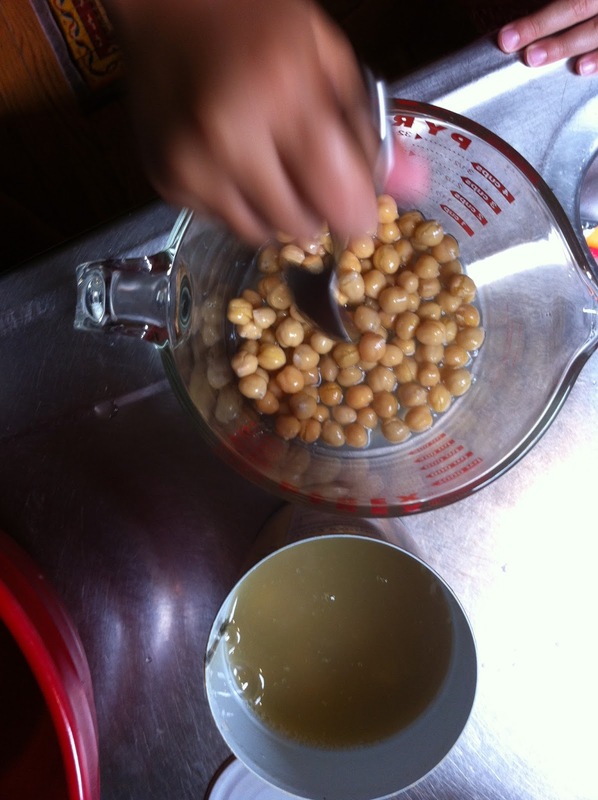 The Bee started by draining (reserving the liquid) and rinsing two cans of chick peas while I chopped up 4 cloves of garlic. 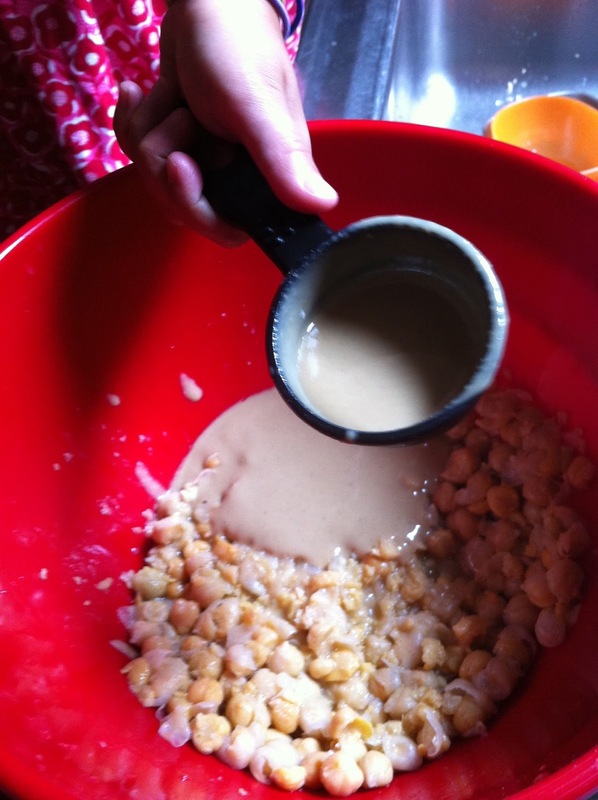 We then added the garlic, drained chickpeas, 1/3 cup of tahini, and 1/12 teaspoons of salt as well as a little pepper into a bowl. 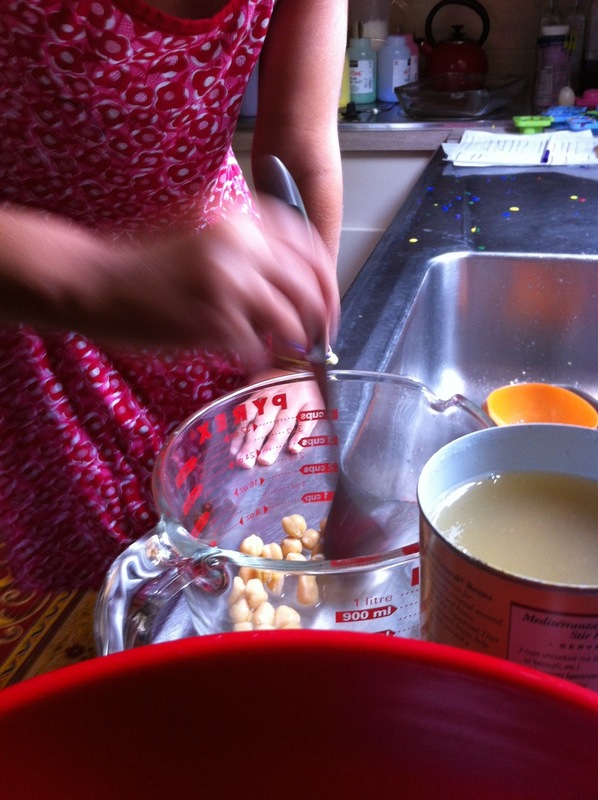 The Bee was then in charge of mashing all the ingredients with a potato masher, a step that is not necessary since you can just put all the ingredients in the blender or food processor, but it gave her a job that she was happy to do. We then added the juice of two lemons. Once the Bee tired of mashing I took the ingredients from the bowl and blended them until smooth in the blender, just a few seconds since she had already done most of the work. The recipe made a good amount of hummus, some we enjoyed room temperature right away and some I put in the fridge and we ate throughout the rest of the week. The hummus was delicious and happily eaten by everyone in our family. 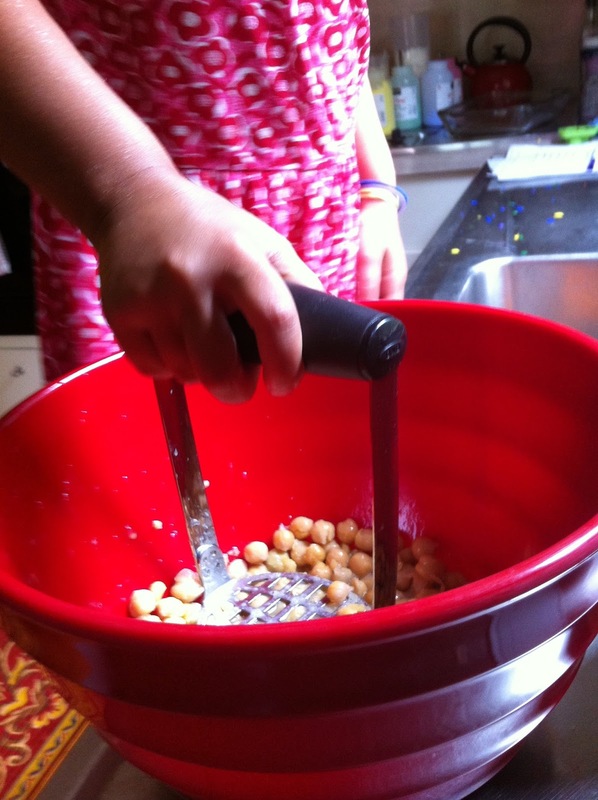 I think we will try this recipe again but next time try to add some fun flavoring to it, maybe olives or red pepper. 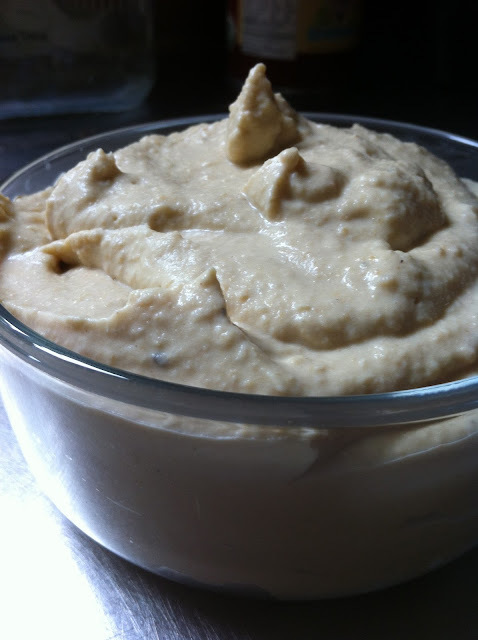 Do you have a good hummus recipe? Yum! I tried making it years ago & it did not turn out well. I'll have to try this one, with lots of garlic added in.